I’ve made this probably a billion times. It was my first really weird experimental paleo treat. It’s good at room temp, good chilled, good frozen. It’s just good. Period. Line an 8 x 8 dish with plastic wrap leaving a little extra on the sides to lift out the fudge with ease. Add protein powder, nuts, cacao nibs, coconut shreds, cinnamon, turmeric, cayenne pepper, or maca powder into fudge. Holy, yum! If I had any self control for chocolate I would probably make ths right now! Wow that is one original recipe sister! I never would have thought that it would work as a fudge recipe. I have made coconut oil fudge before, but the amount of honey required to sweeten it made it a one time only recipe. So how sweet is it, on a scale of 1-10? I can’t wait to find out…. Unfortunately, the recipes are not formatted for print. I’ll be looking into that option in the next couple weeks. have you ever tried a coffee fudge? 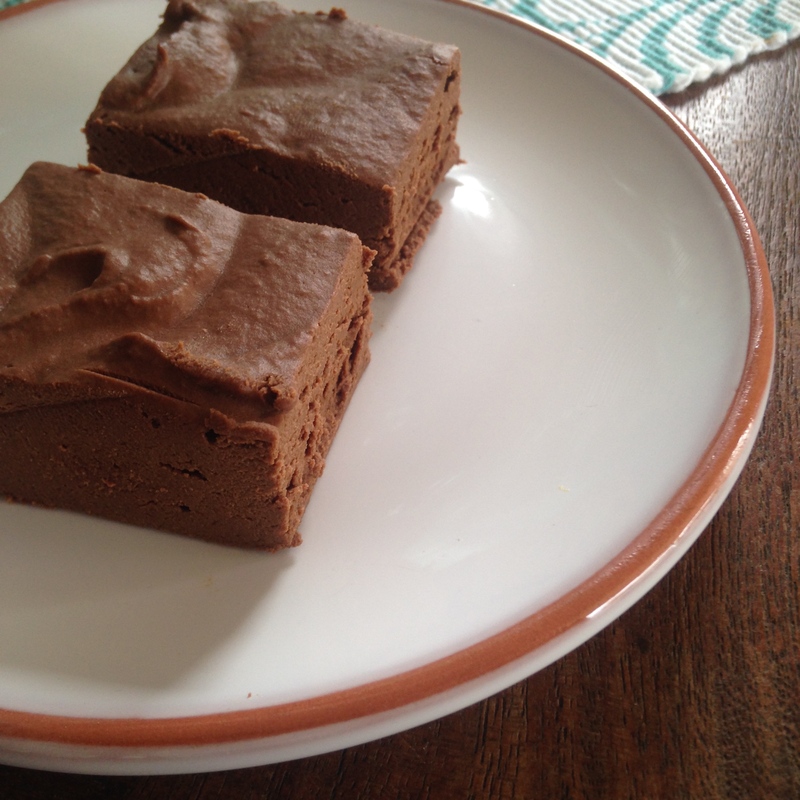 i use a similar sweet potato chocy fudge recipe for EVERYTHING (frosting, raw pie fillings ect ect) but today i fancy a mocha flavour…do you think i could just add ground instant coffee and emit some cacao powder? I have a recipe for a “coffee fudge” but it’s for mixing INTO coffee. There’s no actual coffee in it. I think it would be a very simple addition to put in some instant coffee! Sounds delicious… maybe i’ll try it out too!